Warning: A non-numeric value encountered in superhero_calculate_primary() (line 68 of /home/eaglepro/public_html/sites/all/themes/superhero/inc/superhero.inc). 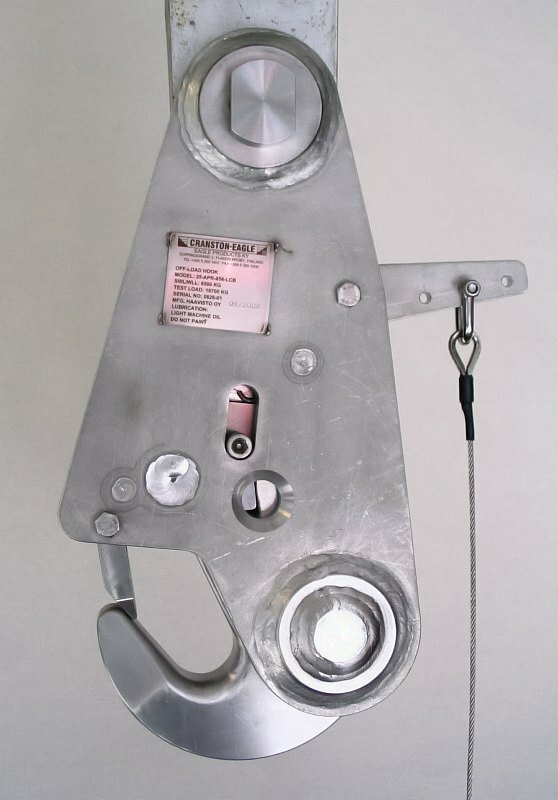 Launch and recovery of rescue and work boats in single point suspension on a davit or crane. 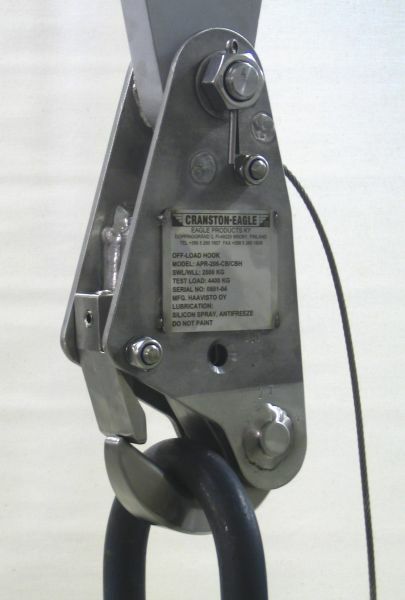 Models -CB and -CBH are similar except that -CBH model is fitted with two handles and tag line shackles. 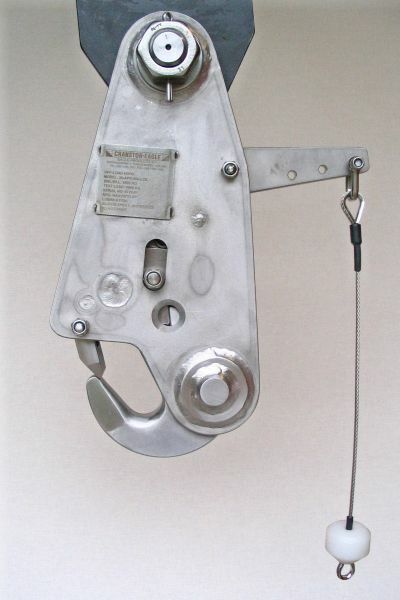 The hook is completely made of stainless steel. 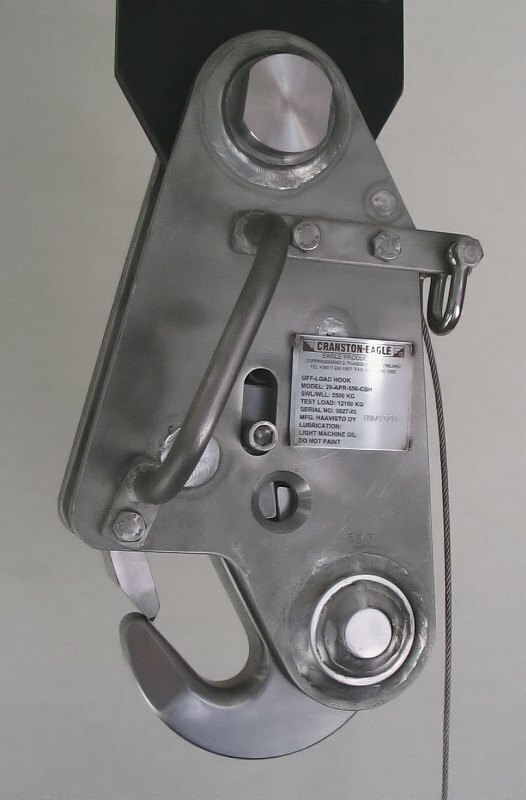 Hook is fitted with two handles and tag line shackles. 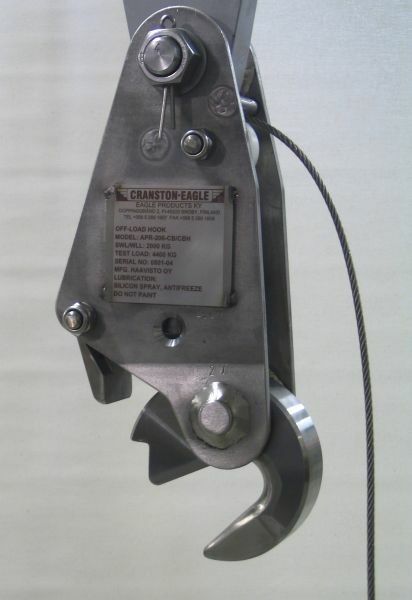 Quick release type with pull-cable. 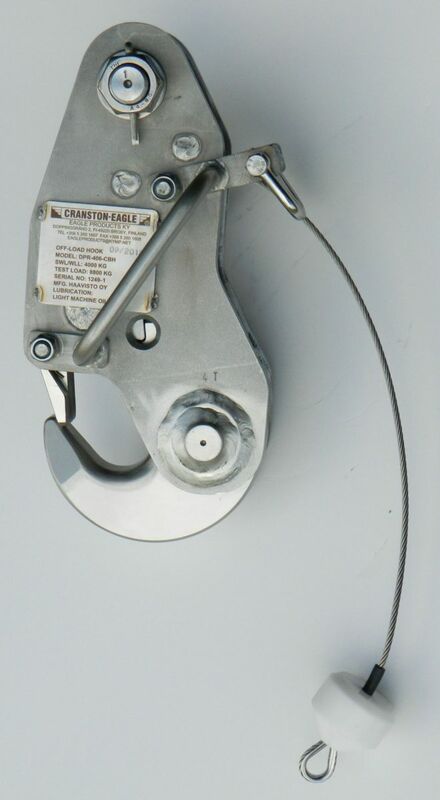 Hooks are completely made of stainless steel.